Product prices and availability are accurate as of 2019-04-19 13:54:01 UTC and are subject to change. Any price and availability information displayed on http://www.amazon.com/ at the time of purchase will apply to the purchase of this product. The Touchstone OnyxXL is the big brother of Touchstone's industry leading Onyx wall-mounted electric fireplace. 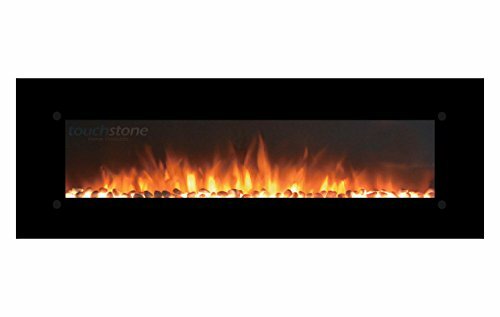 The OnyxXL is a 72" wide electric fireplace featuring a stone-based electric flame, that will immediately become the focal point of your living room, family room, basement or den. The OnyxXL will help add supplemental heat with its two heat settings (low and high). The OnyxXL is simple to install thanks to Touchstone's intelligently designed mounting bar, which is placed on the wall first so the fireplace can easily be placed in a level position. 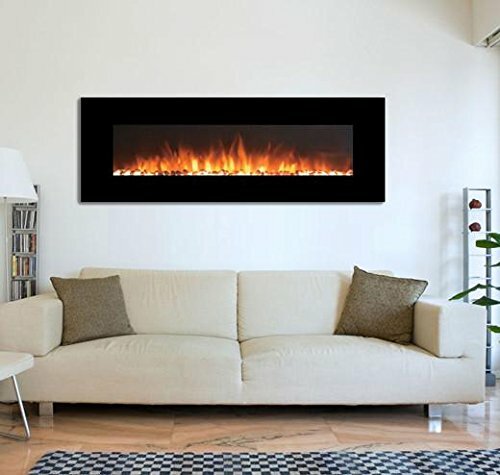 Touchstone electric fireplaces are know for their incredibly realistic flame. Visitors to your showroom and trade shows regularly ask if our wall-mounted fireplaces are gas logs. They will certainly go well beyond your expectations.